Scott Horsfall, the city's newest city councilor, was sworn in on Monday, March 5. The Sandy City Council on Tuesday, Feb. 27, voted in local businessman Horsfall to fill the position 2 seat formerly held by Lois Coleman, who retired as of Feb. 1. "I really am excited about this," Horsfall told The Post after the Feb. 27 meeting. "I'm looking forward to a new adventure." Three candidates were interviewed that night, including Horsfall, Jan Lee and Mary Dickinson. This partial term on council — which expires at the end of this year — is Horsfall's first venture into government, but it was his passion for Sandy that apparently caught the Council's collective eye. After the first two vote counts, results were tied between Horsfall, who owns a small plumbing business, and Lee, a former House District 51 representative and water and energy resources policy consultant. Council deliberated once more before voting for Horsfall. "We'd love to see you still be a participating member of the community," Mayor Bill King told Lee. Lee has since told The Post she intends to run for the position in November. Overall, the candidates were optimistic about the future of Sandy. All attributed part, if not all, of their interest to wanting to be on the ground floor of helping Sandy flourish. Of the issues candidates discussed, the most universally agreed upon were the need for affordable housing and improved transportation, but it was Horsfall's positive comments that apparently impressed councilors. 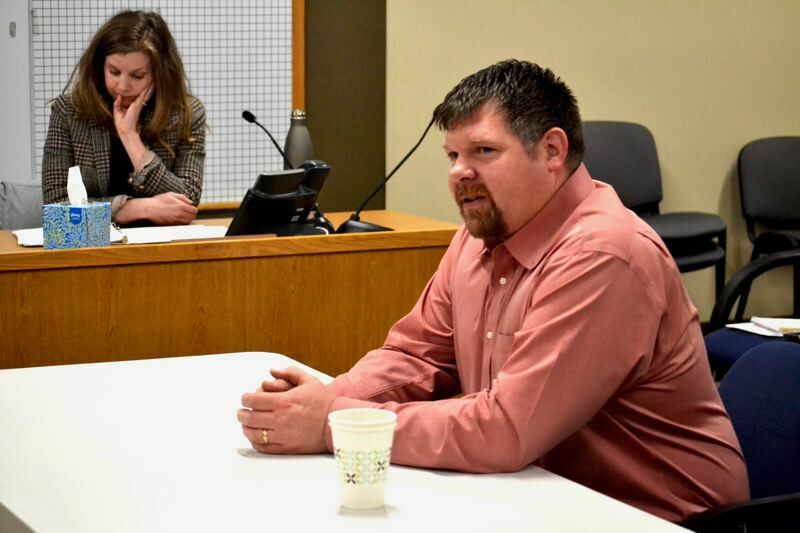 In his application, Horsfall said he hoped to use his "unique" occupational background meeting people of all walks of life and with "many different views of government, many concerns and even objections," to represent his community as a whole. "(My family and I have) really gotten to meet a lot of people — the fabric of our city," he told the council. "We've really been in love with what this city meant for us." When asked for one positive and negative critique of the city, Horsfall said "the location of the city ... means we're relative in a lot of ways," explaining the synergy he sees from Sandy's proximity to Portland and Mount Hood. He also expressed several concerns regarding how growth is being implemented. "What did we do with all of the new residents?" he asked, saying the housing developments going in were overcrowded and not very affordable. He also said he'd like to see improvements to roads and sidewalks to promote pedestrian safety, particularly where there is no shoulder or sidewalk. If he were appointed, another item on Horsfall's list would be to see "what could be done for the pool. It benefits a lot of the community," he said. When asked how he'd encourage community involvement, Horsfall responded that he would get more involved, and that council as a whole should too. "I've thought a simple solution is you go to places that are busy," he said. "Places like Fred Meyer have welcomed Girl Scouts and Cub Scouts. ... Just have some simple booth and ask people, 'What do you want to see?' Let's get out and be in the community." The replacement process began when Coleman announced her retirement after serving the city for 20 years, 10 of them on the Planning Commission and a decade as a city councilor. "It was the family," she told The Post earlier. "I have a new granddaughter and am planning a big summer trip."